Here's something you may not know: there are several countries around the world where American students can go to college — for free! In this great article from the Washington Post, @rick_n breaks down the countries where you can find the best college deals. Germany is probably the best known country to make the list. As we told you a couple weeks ago, the country recently made all their universities free...even for American students. 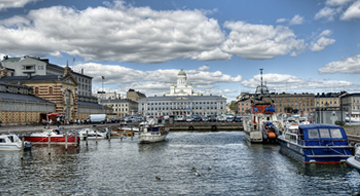 Finland also makes the list, because this northern European country charges no tuition fees, and offers a large number of university programs in English. What other countries are on the list? Read the full article on the Washington Post to find out. We'd love to know your thoughts in the comments section below. What country do you think offers the best college value?